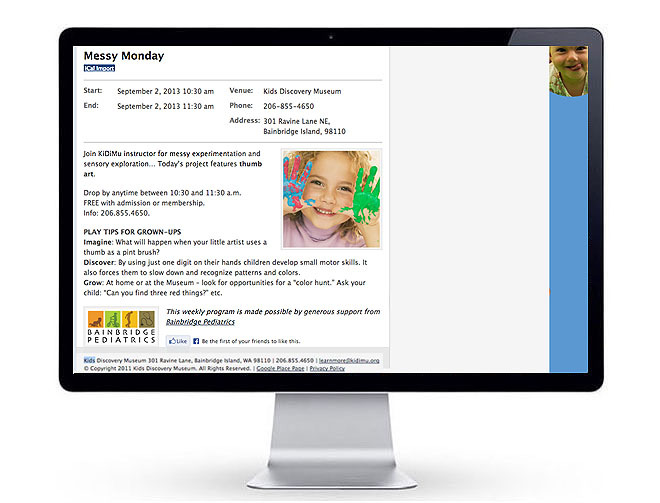 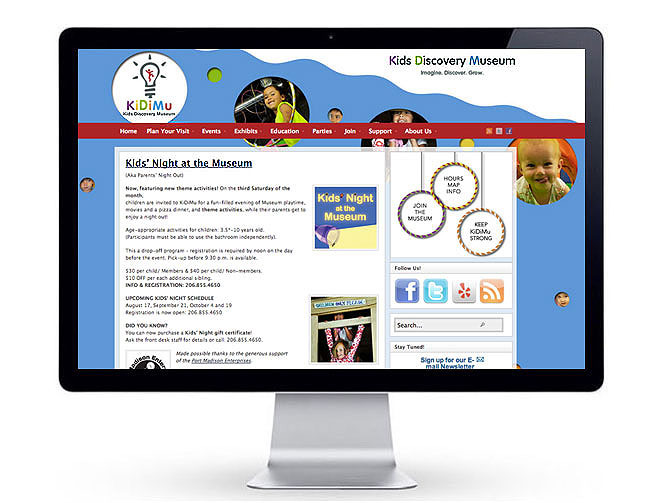 Mission: Create a Website and Place page presence for an award-winning Children's Museum that had moved three times in three years. 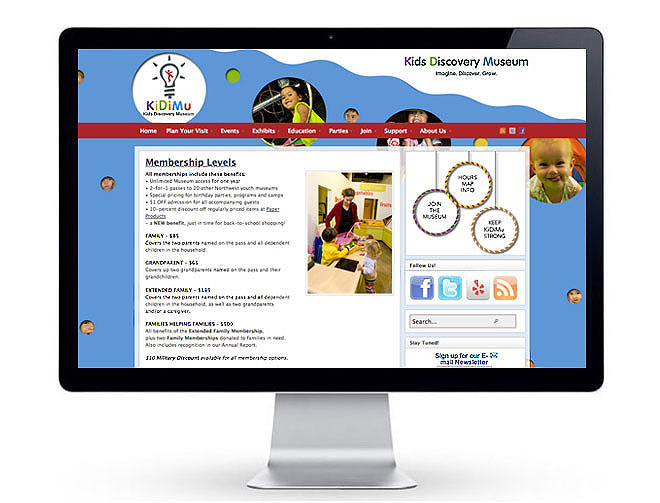 Create social media channels, integrate newsletter and make site equally accessible to children and families. 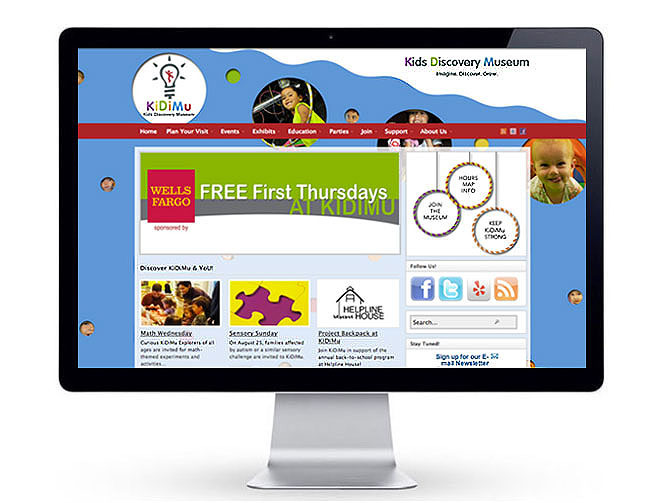 Key Insight: Destination pages in the Tourism and Recreational market spaces rely heavily on local event marketing along with bulletins to announce these special events, The Children's Discovery Museum of Bainbridge Island, aka "KiDiMu," ties its Event Calendar in with weekly e-blasts and with Sponsors who are recognized for subsidizing events like "FREE First Thursdays."